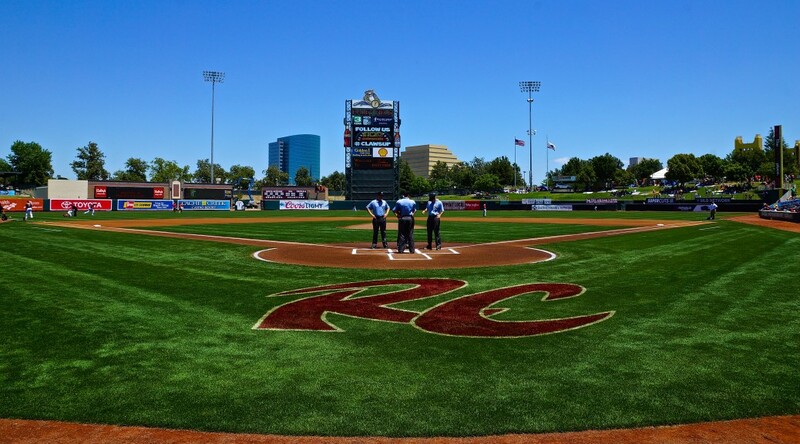 WEST SACRAMENTO, Calif. – Nik Turley tossed six no-hit innings, striking out a season-high tying eight batters as the Sacramento River Cats took game one of their series against the visiting El Paso Chihuahuas. 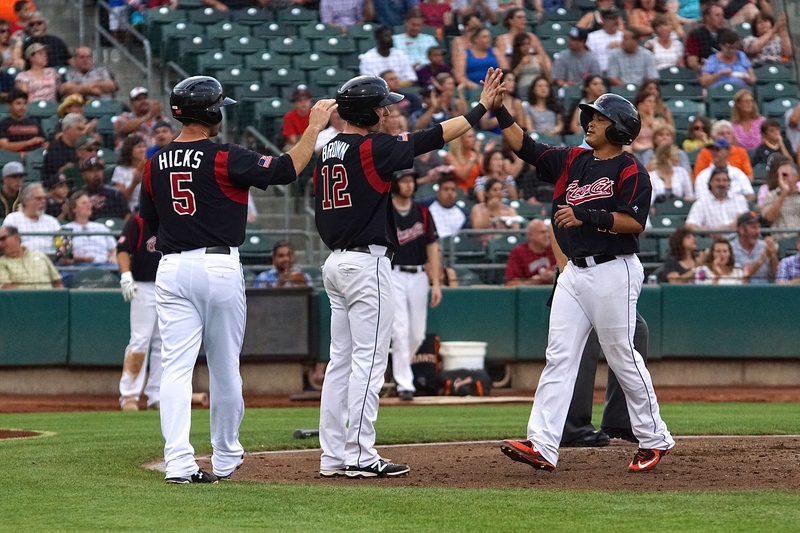 The River Cats jumped out to a 5-0 lead, which proved to be just enough as they held on to beat the Chihuahuas 5-4. Turley came out dealing, striking out a season-high tying eight batters in just three innings of work. The lefty had excellent command of his fastball tonight, painting the corners with 93 and keeping the Chihuahuas off balance with his changeup. He retired the first 16 batters he faced before issuing a one-out walk to El Paso’s Mike McCoy in the top of the sixth. Turley concluded his night throwing 6 no-hit innings with 2 walks and 8 strikeouts on 99 pitches (66 strikes). In his last four home starts, Turley has allowed just 5 runs (3 earned) in 24.1 innings, good for a 1.10 ERA. He has struck out 26 and walked 6 during that time while only allowing 13 hits. This marks the third shutout start for the lefty this season (10 starts). Overall, Turley is now 4-4 with a 4.89 ERA for the season. 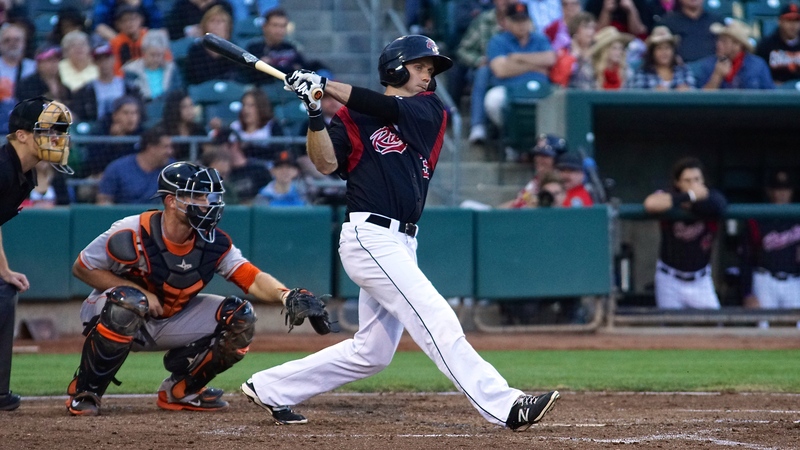 The River Cats struck first with four runs in the bottom of the third. With the bases loaded, Kelby Tomlinson poked a seeing-eye single just past the reach of El Paso’s diving middle infielders, scoring two. Adam Duvall followed with a sacrifice fly and Jarrett Parker capped the inning with an RBI-single. Sacramento picked up their fifth run in the fifth inning. With one out, Juan Perez hit a hard groundball just inside the first base bag that slowly rolled into shallow right field, allowing Perez to take second on the play. 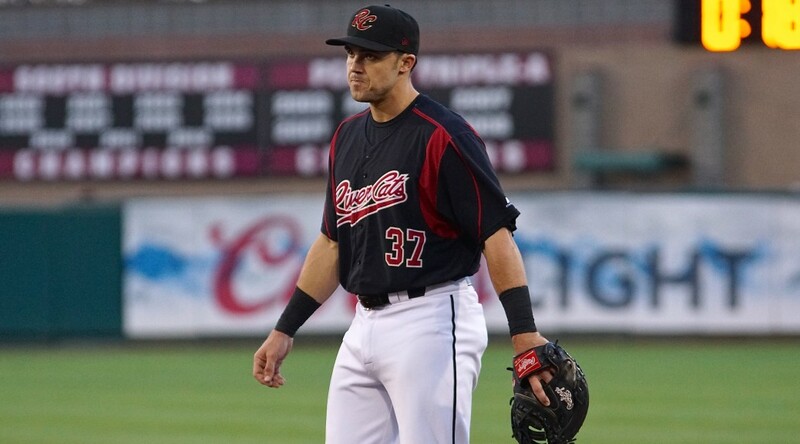 Chihuahuas’ manager Jamie Quirk came out to argue that the ball was fair, ultimately getting ejected by first base umpire Alex Ortiz. Two batters later Perez scored what proved to be the deciding run on Parker’s sacrifice fly. 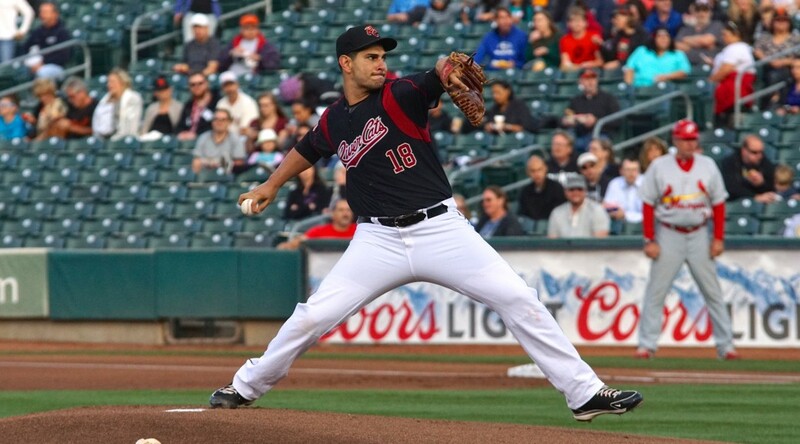 The River Cats took their 5-0 lead into the eighth, but the Chihuahuas staged a late-game rally, scoring four times off Sacramento relievers Steven Okert and Erik Cordier. 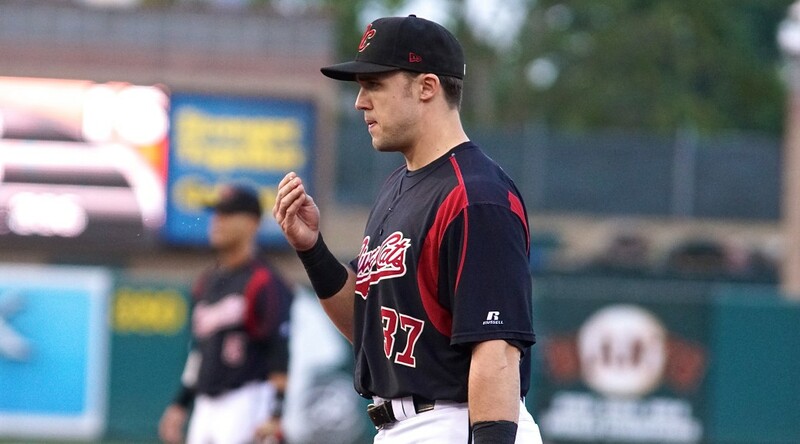 Two hits plus a River Cats error and wild pitch loaded the bases for El Paso before a sacrifice fly, RBI-single, and two-run double made it a 5-4 game. All four of El Paso’s runs in the inning were unearned. Sacramento will send lefty Ty Blach (8-8, 4.23) to the mound for tomorrow night’s contest. The southpaw is currently second in the PCL in innings pitched, with 110.2, trailing only Nahville’s Barry Zito (116 IP). 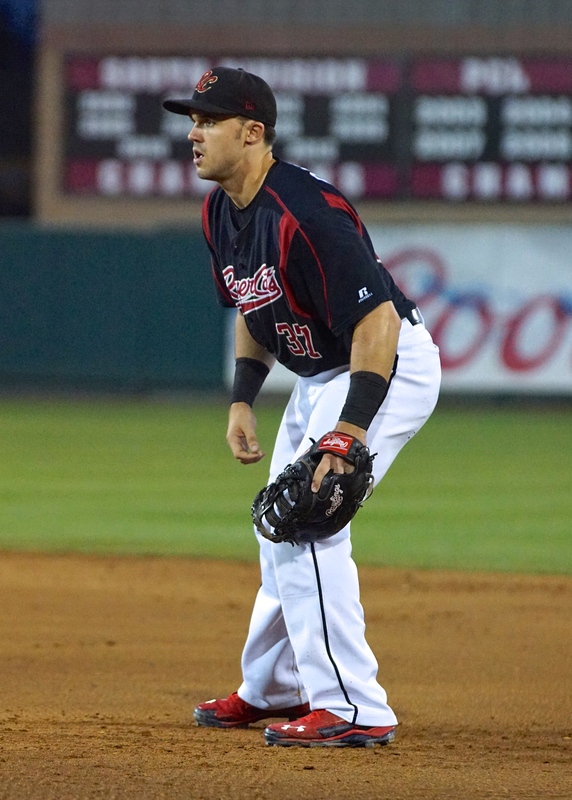 Opposite Blach will be El Paso’s left-hander Jason Lane (7-6, 5.28). 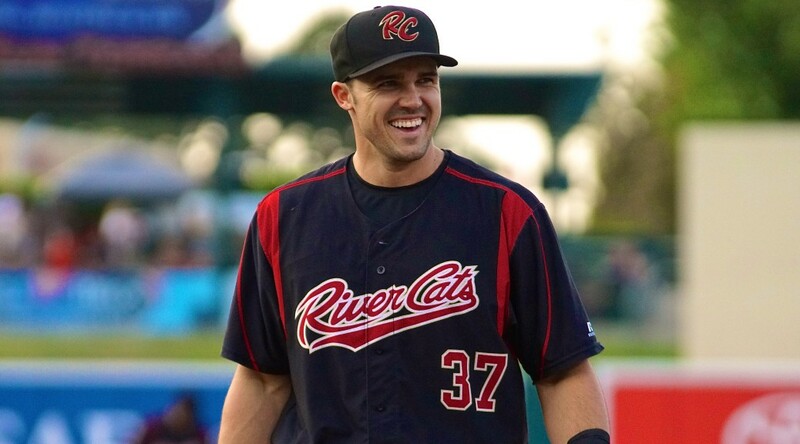 First pitch is set for 7:05 p.m.
SACRAMENTO, Calif. – Clayton Blackburn was solid for the River Cats Tuesday night, fanning a new season high nine hitters in his third quality start of the season. 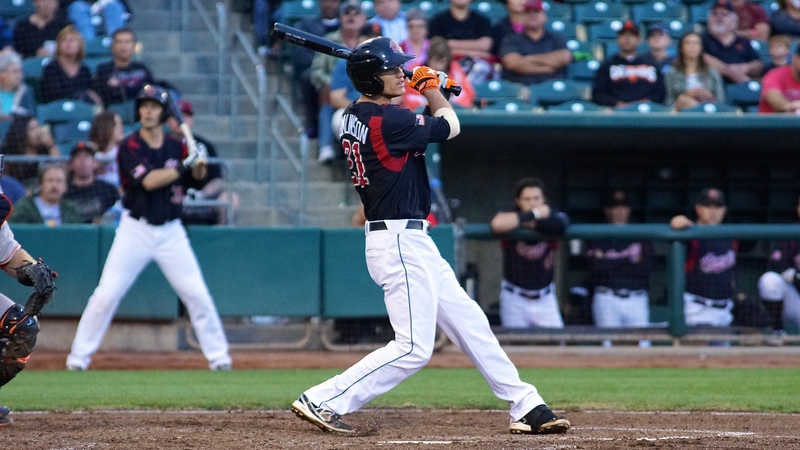 A seventh-inning rally for Sacramento tied the game at three, but the River Cats couldn’t hold on as they fell 6-3 to the Tacoma Rainiers. Blackburn started his night by retiring nine of the first 10 batters he faced. He endured one big inning in which he allowed 3 runs on 5 hits, but settled right back into a grove immediately after. Blackburn finished his night pitching 6 innings, allowing 3 earned runs on 8 hits, walking 2 and striking out a season high 9. He threw 109 pitches on the night, 68 of them for strikes. His 9 strikeouts are the most by any River Cat pitcher this season, passing lefty Braulio Lara. Lara struck out 8 against the Las Vegas 51s at Raley Field on April 15. 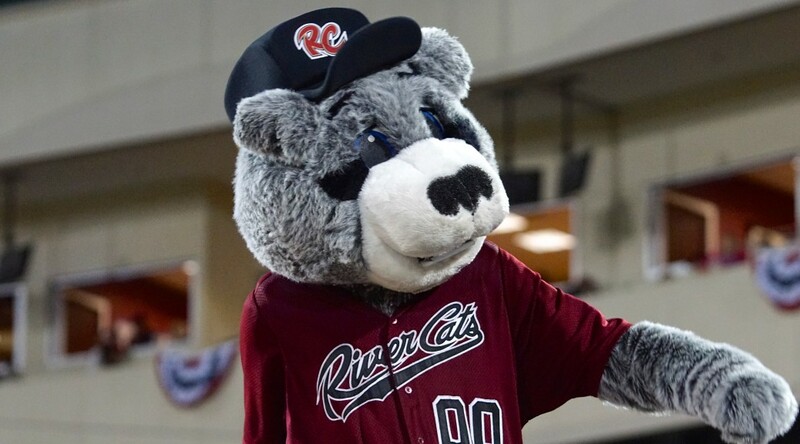 Trailing 3-1 in the seventh, the River Cats pulled even with the Rainiers. Carlos Triunfel followed Juan Ciriaco’s leadoff single with an RBI triple to cut the deficit to one. Triunfel scored to tie the game two batters later when Kevin Frandsen grounded into a double play. 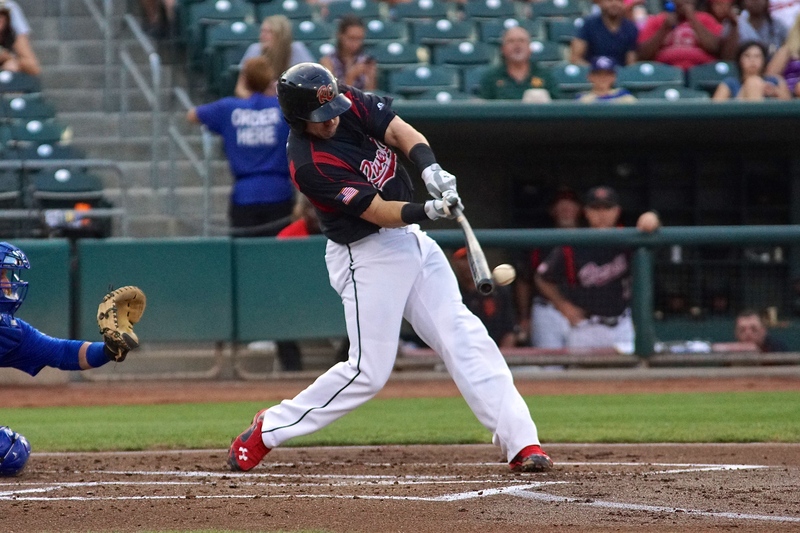 Triunfel reached base three times on the night, going 3-for-4 with a triple, an RBI and a run. The Rainiers countered immediately, retaking the lead with two runs in the eighth on an RBI-single from Leon Landry and a sacrifice fly off the bat of Patrick Kivlehan. Kivlehan was 1-for-3 on the night and was responsible for knocking in two of Tacoma’s runs. They added one more in the ninth on a Michael Broadway wild pitch. Tacoma’s Forrest Snow was also strong on the mound, not allowing a base hit until the third inning. He pitched 5 innings, allowing just 1 earned run on 5 hits while walking 1 and striking out 4. The win went to Danny Farquhar (1-0, 6.75), his first of the season, and Mayckol Guaipe recorded his fourth save. Sacramento’s Erik Cordier (0-1, 2.70) took the loss. 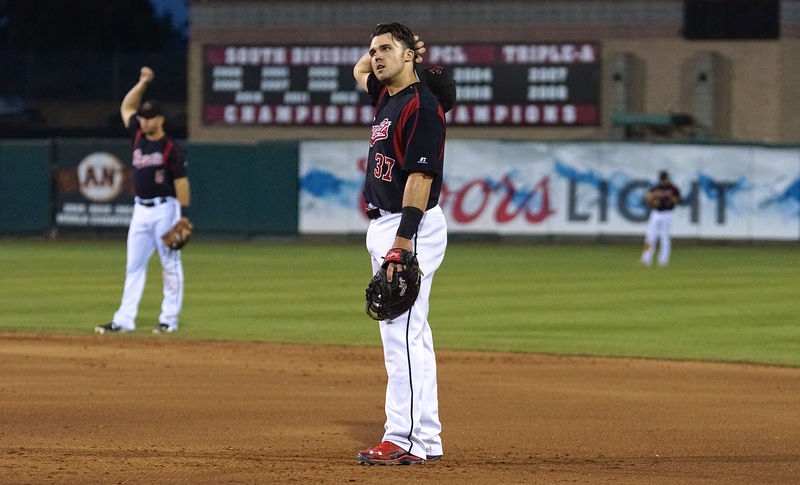 The loss drops Sacramento into a tie with Tacoma for second place in the Northern Division. 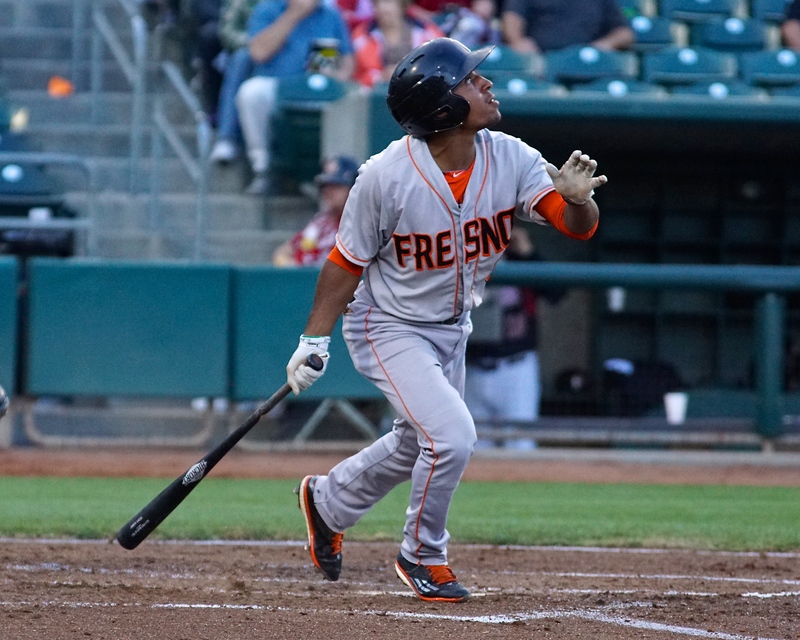 The Fresno Grizzlies still sit atop the division and possess a 6.5 game lead over both the River Cats and Rainiers. Following tomorrow’s league-wide off day, the River Cats will head to El Paso for a four-game road trip. 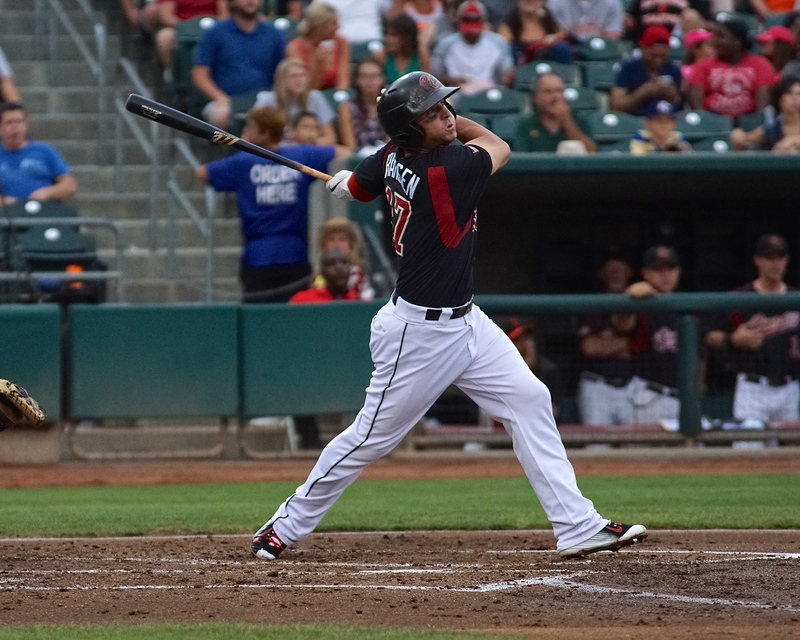 The trip will be Sacramento’s second to Southwest University Park this season and they’ll look to exact some revenge for the four-game sweep they suffered at the hands of the Chihuahuas in April. 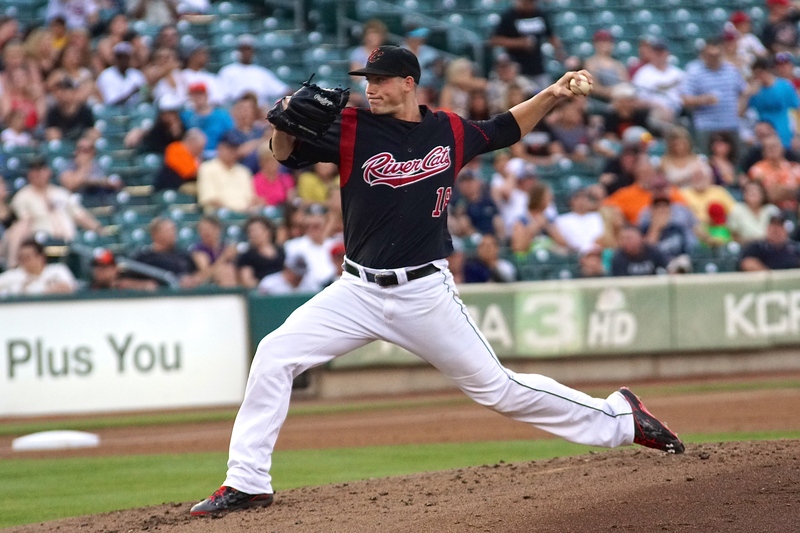 The River Cats will open with right-hander Jake Peavy (0-1, 8.00) on Thursday. Opposing him will be the Chihuahuas’ lefty Robbie Erlin (5-4, 5.49). First pitch Thursday is scheduled for 6:05 p.m. (PT).